A guest post by Adrienne of Crafty Little Gnome and Adrienne Audrey Jewelry. If you want to guest post on this blog, check out the guidelines here. I love burning candles. There is something so serene about the warm glow of the flame. They warm up the room, smell great and who doesn’t look more attractive in candle light? As we approach the winter months and the holiday season grows closer many of us will be grabbing those old candles from the back of the cabinet and lighting them up to bask in the glow of the warm flame. 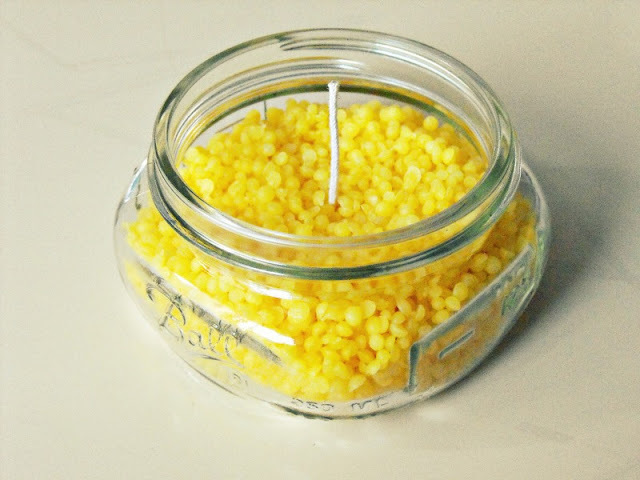 Today I am going to show you how to make cute beeswax candles in little jars. These candles make great gifts (it's never to early to start thinking about Christmas!) and because they are compact and come with a lid they are also great for traveling. Beeswax candles burn cleaner than paraffin candles, producing very little soot. They also burn a lot longer than paraffin candles. Beeswax candles smell great and have a natural honey scent, They are great for people who are sensitive to perfumes and fragrances or have allergies. No toxic wastes are produced, either in production, or in burning. The list of benefits goes on and on. There are other alternatives to paraffin such as soy or other vegetable wax but for this tutorial we'll be using beeswax. You can find these materials at your local craft store and you can get canning jars at your supermarket. There should be a special section for canning supplies near the baking aisle. 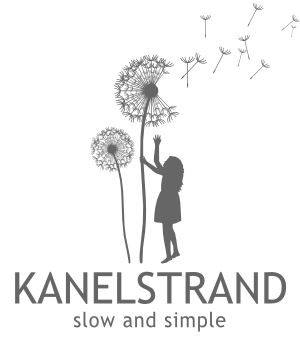 You can buy beeswax online. You want to look for beeswax sold as little granules in a bag rather than a big solid block. 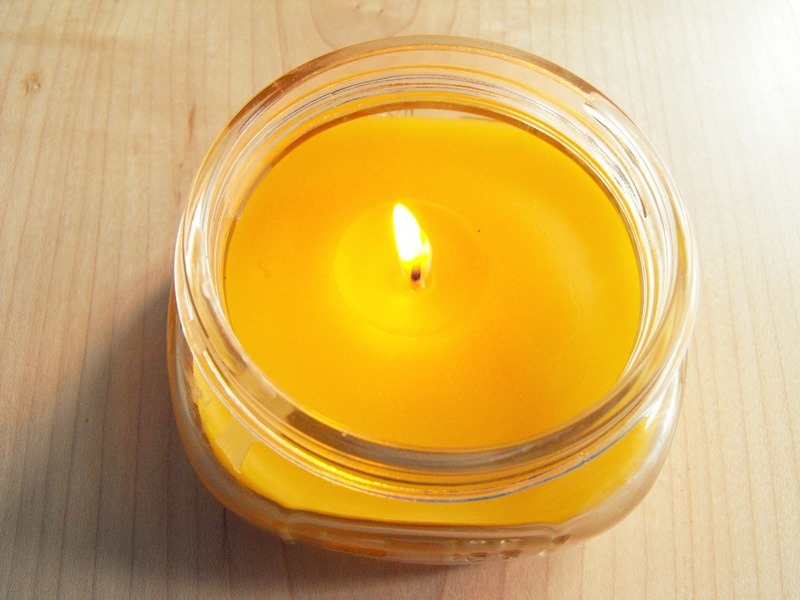 There are many online stores that specialize in beeswax candle making supplies. 1. Cut your wick in lengths of about 6 inches and feed them through the wick tabs. Use your pliers to close the open end of the tab so the wick will not fall out. 2. Glue the wick and tab to the bottom center of the jar. 3. Fill the jar with the beeswax. Try to stand the wick straight. 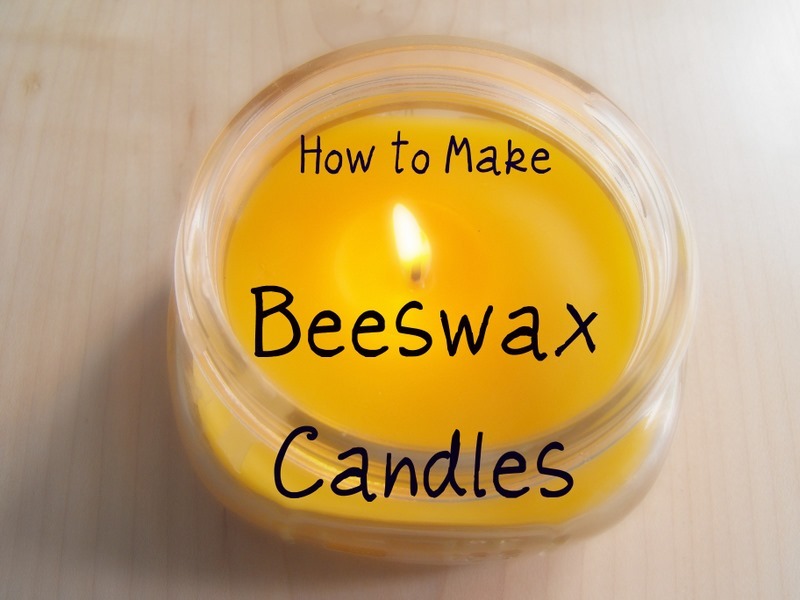 Trim the wick to about 2 inches higher than the beeswax. 4. Once you have several candles prepped, place them on a cookie sheet and put them in the oven at 200 degrees Fahrenheit. Watch and wait for the wax to melt completely (about 20 minutes). 5. Once they have melted pull the cookie sheet out of the oven very carefully and let the candles cool and the wax re-harden. 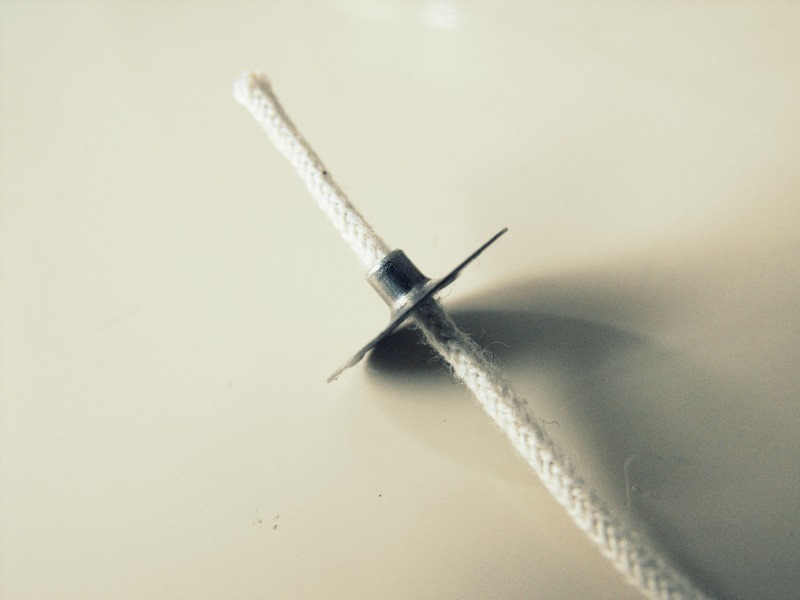 Trim your wick to about a half inch tall. 6. Once completely cool put the lids back on the jars and embellish with ribbon or twine or grab some matches and light them up right away! Because the candles are in jars they are safer than tall pillar candles that may fall over and cause a fire. The screw on lid makes it convenient to take your candles with you if you are traveling and makes it easy to stack them. As always, never leave a burning candle unattended and keep them out of reach of children. Adrienne lives in Northern Washington on a farm with her husband and a menagerie of loveable animals. When she's not blogging at Crafty Little Gnome Adrienne can be found out playing in the garden, experimenting in the kitchen or working on a new craft project. Adrienne also sells handmade jewelry and accessories in her Etsy shop Adrienne Audrey Jewelry. Cute candle. Great tutorial! I am addicted to candles. I have them burning all the time. Thanks so much for this post! I had no idea making candles could be so easy! These are so cute! I definitely want to try it. Thanks for the post! I wil try this!!! This looks like a great DIY! I'm definitely trying it out soon. 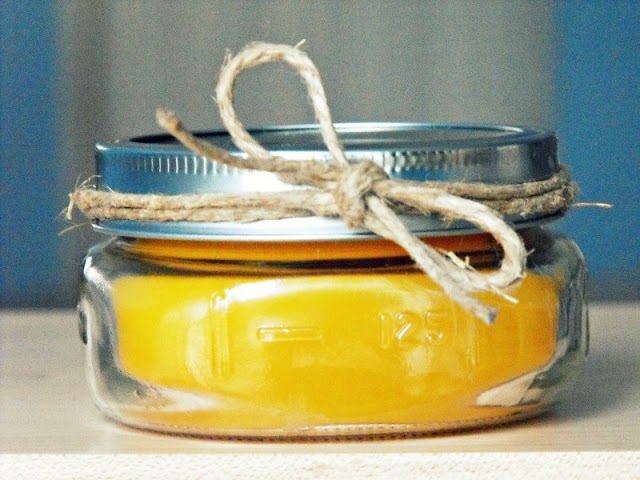 I just have a question - about how many candles does a pound of beeswax make with the size canning jars you used? @ Amina: I used half pint jars and one pound will make about 4 candles. I'd love to make some of these for Christmas gifts, I'm curious though about how many jars you can fill with 1 lb of wax? Thanks! Where do you recommend buying the beeswax? If you were to use the soy wax you mentioned, could you scent these? How would you do that? Can you scent the beeswax one?? I used hemp cored wick but I am not sure of the size. It came on a big spool and seems to be working fine. I know it's important to trim the wicks and make sure they are about 1/8th to 1/4 inch after each time you burn them but I haven't heard anything about the size of the wick. Thanks for your help :) Here is the link where I found the information about wicks, just in case you are interested. smrighter, thank you for posting the link! Sorry but this is a crap tutorial. You haven't mentioned size or length of wick (which is very important), type of beeswax required (yes, there are varying grades that will not work in what you have made) or other vital details that should always be included in candlemaking. Herself, 12,000 people seem to find this tutorial pretty fantastic actually but thank you for your efforts to write such a constructive comment a few hours before New Year's Eve! Your comment would have had more weight if your blogger profile was not restricted so that we could all enjoy your candle-making skills. I wish you to be more positive in 2012! Happy New Year! Wow... I don't normally involve myself in this type of negativity online, but I had to just say a few things. First, I also had the same questions about the details. However, I found the tutorial to be inspiring and helpful in making the idea of candle making a bit less daunting. There are several sites that you can visit to get more information on candle making if you really need more detailed information. In truth I have found that overall there is no real answer regarding the size of wick vrs the size of the candle especially when dealing in beeswax. Most of the sites I found stated that it's more of a trial and error type of thing and that one should purchase a small amount of wicking for experimentation prior to setting out to do a huge batch. In time you will find what works for you. Another thing I have found is that it seems to work that you will need to purchase a wick that is one size larger than what is recommended for other waxes. For example I bought a wick that was meant for 2-3inch diameter candle (this is from memory so I may be off but you get the idea). The size was medium, however I found that I should have probably bought a large wick as the candles more than two inches wide burned unevenly. Thanks for your sweet comment. Wishing you and your son happy candle making! can u add any color to the was and then layer it? You can add color but I would use white beeswax or white soy wax. Since some beeswax has a natural yellow coloring it can mix with the color of the dye and the color might not turn out the way you like. As for layering, You want to use a different method for layering colors. Heat the wax in a separate pot, pour it into your jar, let cool completely. Letting it get completely hard is essential then add the other colors one at a time using the same method but making sure they cool in between layers. Just wanted to say this was very helpful to me... thank you for taking the time to share your information. This is exactly what I wanted to do put it in mason jars and I couldn't find any other information. Although I just bought a large block of beeswax, is it possible to shave it into smaller pieces or melt it down first? You are welcome, Katie, I hope that Adrienne will be able to reply to your question very soon. I don't think your post was bad at all! I have been researching on how to make beeswax candles, because I want to make religious candles so I can get them blessed, and your post put me into perspective as to how I can make them. Thank you SO much for this tutorial. And don't listen to the negative comments on here. Everyone's a critic. I'm a pretty smart person, so I will figure out how long I need to make the wick! :) Also, quick question:should I pre-prime the wick before making the candle, or do you not recommend that. Thanks! Thank you for your words of support! I am glad that Adrienne's post is helpful even for creating religious candles! I will forward your question to her and she is going to reply pretty soon! i didn't bother pre priming the wick and mine turned out just fine so I don't think it's necessary. Nice work! But be really careful when putting beeswax in the oven. That can be really -like REALLY- dangerous! Thank you for your words of support! 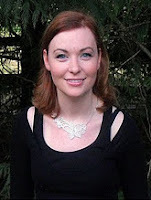 I have forwarded your questions to Adrienne, the author of this wonderful tutorial and hope she will answer them soon. Thanks for commenting. You can add scent to the candles but it will mix with the natural honey scent so I would choose something that complements the honey scent like maybe vanilla! If you are worried about mixing scents you can use unscented soy wax. I personally haven't tried using essential oils but I can't see any reason why it wouldn't work. Please let us know if you try it and how it works out for you. As for the amount of drops needed, that could vary considerably depending on how much wax is being used. I just made my first beeswax candle. I never thought to melt it in the oven!! I added lavender and vanilla essential oils to mine. They blend nicely to the honey scent (to me). I will add that I think I need more oils next time. Wasn't sure how much to add. Can I remelt the beeswax and use again adding more oils? This was my test run in making them for gifts for the holidays. I love this tutorial. Thank you! Yes you can! I have remelted mine and poured the wax into different containers! Thanks for trying out the tutorial and commenting! Oooh, Awesome! That was my question too! I'm excited to try this! Going to give this a try... Thanks! Hi! Just made these and hubby and I are burning the first one! I don't smell the honey scent (which is fine by me because scents make me sneeze >.< ), but my concern is because the flat 1/2 pint containers are so wide, will the wick really burn all the wax off? I'm thinking that perhaps I should have put in two wicks. Otherwise, hubby and I are lovin' it up right now! Have a wonderful holiday season! Kiss Kiss! I didn't think of that but yes I think 2 wicks would work better than one since it is wide. I will try that next time I make some! Thanks for commenting! Hi! I just made my first beeswax candles and all of them have great big cracks after cooling. I tried to fill them in and melt them again and it still cracked. Any suggestions? Thanks! I think what caused the cracking was the wax cooling too quickly. You could try leaving them in the oven after you turn it off and letting them cool slowly and that might prevent cracking. Good luck! Thanks for your tutorial.... Was wondering if you got those jars online or you bought them locally. would love to find the same ones to make both candles and to store harissa in! they look really cool. I actually found them at the grocery store. Most grocery stores or places like Walmart or Target have a small section with canning supplies near the baking supply section or near the kitchen gadgets. I can usually find this size of jar in most stores. You could probably get them on amazon.com or other places online too! Hhhmm....love the oven idea. Great way to make several candles at once. I'm going to have to try this one. Hi! I really like this tutorial! I am attempting to make my first candle as we speak! But I had a few questions. The wicks I had purchased were soy wicks made for use with beeswax, but when I heated them I noticed they unravelled and kind of fell apart. I was wondering if there was anything, anyone else that has come accross this problem, recommends to fix this or stop it? Or should I just not use a twisted wick in the future? Also, if I was wanting to add essential oils, does anyone have any tips on doing so? Thanks again for this post! I haven't heard of that happening with soy wicks before. I would contact the manufacturer and see if they know what's up with that. If you are adding essential oils it might be difficult to mix them in properly if you use this oven method. You may want to melt all the beeswax and then add the oils and then pour them into the containers! Hi! You have inspired me to try making some candles for gifts this year! I have a question, though. I see a lot of other sites talk about 'priming the wick' but it looks like you did not do that. Is it not necessary? Just curious.